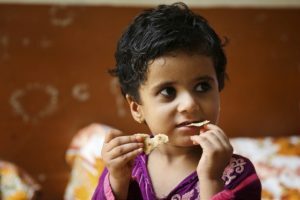 Malnourishment affects cognitive and physical development of children, while the country is losing around 2 per cent GDP because of high burden of malnutrition. The Network for Consumer Protection in collaboration with Global Alliance for Improved Nutrition (GAIN) organized the event here for awareness on malnutrition and food fortification. Dr. Nausheen Hamid, Federal Parliamentary Secretary, National Health Services, Regulations, and Coordination (NHSRC) and Senator Professor Dr. Mehr Taj Roghani, member Senate committee on NHSRC attended the meeting. Malnourishment also affects cognitive and physical development, ultimately leading to reduced learning abilities and lower productivity in adulthood. The ruling PTI parliamentarians endorse civil society’s efforts to make food fortification campaign financially sustainable at district, tehsil and Union Council level to undo huge financial loss being caused by current state of malnutrition in the country.